This year, 2017 was all about new beginnings and going further in all aspects of your life while detaching from everything that holds you back, but the year 2018 absolutely buzzes with energy. The anxiety that might follow is just a byproduct of the supercharged energy the year brings. If we can give a universal advice for all signs here it is: More focus and a better sense of direction are all you need to put all that spectacular energy to good use. If 2017 was the year you started exploring unknown areas, 2018 is the year you’ll need to start working in these areas and make something out of them. It’s the year when you’ll need to start living the new life you created for yourself in 2017 and thrive in it. According to Chinese Astrology 2018 is described with one word: ACTION! 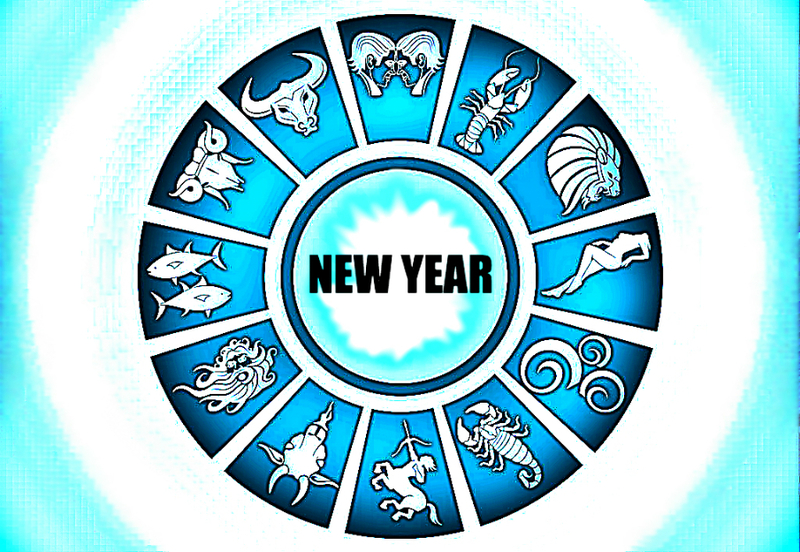 Your horoscope predicts that you’ll begin the year fill full energy and enthusiasm. You will be learning from your past mistakes and will make better and informed decisions which will help create a great year for you. Your income will increase and you will get promotion in your career. All and any professional work that you’ll do this year will be successful though you might have to work a litter harder after mid-October to keep your earnings consistent. Your professional life will be a success but your problems at home will not be solved without much effort. The upcoming year demands a lot of hard work from you to be successful, though things will be relatively easier after the month of October. You’ll have a good opportunity to go for pilgrimage. The first few months will be hard on you, so stay away from any controversies, fights and disputes. You might put on some weight on yourself, keep a check on your food consumption. This year is about opening your heart, working hard, and accepting that your life is worth living the way you have always dreamed of living it. Your ability to express yourself clearly has always been your biggest strength and it will help you next year as well. But for initial few months, be careful as your words might cause you some trouble. 2018 will very much be about clarifying both your internal and external boundaries, finding out what feels good to you and what simply doesn’t, and allowing that to be your guide throughout the year. Your professional life will be good but you might have to stay away from your family for some time. Your health will suffer if you will not control your eating habits. Love is the tie that binds it all together, right Cancer? Make room for it! Open your eyes to it. And yes, this goes without saying: open your heart. Get honest. Open up to people. See what you can give to others. You might just be surprised at how much you get in return from doing so. You will have a year full of energy and you’ll lead many new groups. The energy and your involvement may create some misunderstanding in your family but your domestic life will be harmonious. Focus on your health as there are chances of developing a chronic disease. Students will do well in academics. Also, you need to control your expenditure. You’ll have a keen interest in the spiritual and virtuous pursuits. Things will go well for you in general but only if you give up your habit of procrastinating. You’ll get more love but the misunderstandings may also increase. Enjoy yourself as you find out again and again that the process is the reward. Just make sure that what you’re working for is something you are 100 percent invested in, because all that hard work is only worth it if you really love what you are working toward. The coming year is going to be a special one for you. Not just you will improve your finances but your social status will improve as well. If it’s time to quit your job, or move out of your apartment, or finally start up that exercise habit, you just need to buckle down and freakin’ do it. Your children may face some health issues correlated with bad eating habits, so make them give up junk food. One of your long-awaited desires will be fulfilled and you will maintain peace in your life. Think of your arrival in the new year like a high school or college graduation. You’ll have a lot of energy to begin the year with but be careful with your actions in order to enjoy your life. Do not be rude. You’ll have to rely on your own self for success. Material progress will be good but initial months must be dealt with care. As the planets shift in 2018, this is a time for you to let go of what doesn’t serve, and double down on what does. Doing so will help you feel lighter, both mentally and physically, and you’ll be able to go deeper into your own life. The year will be full of challenges but there are a lot of rewards after those challenges. You will see a decline in your overall health and your excessive spending habits will cause you some trouble till October. Being with the people you love is more important than working those extra hours at the office. Go where it’s warm, and take notice of what ruins that positive energy for you. The coming year is simply asking you to consider how you spend your time and precious energy. For you, Sagittarius, 2018 is all about soul-searching and manifestation. It’s about realizing what you want or need, braving the task headfirst, and putting in the work to make it happen. You might see some financial ups and downs till March but after that you’ll experience bliss and comfort. Being workaholic, as you are, can affect your health. Health of your spouse can also be a problem. Get excited, Capricorn! This is a time of change, maturing, growth, lessons, fun, the whole nine yards. This will be the year of self-discovery for you. You’ll be able to find your own “Why’s” in the life. Your expenditure will be on the higher side and thus you may want to control your desires. You may start feeling detached form the physical world but that’s just your awakening in action. You’ll continue to work for the better world. However, no one is going to put in the work for you to cultivate the career, the relationships, and the spiritual foundations you desire for a fulfilling life. 2018 will be a progressive year as you will start building on the strong foundations that you laid last year. Your health might fluctuate but will be OK overall. Your domestic life will be happy and your work productivity will also increase. While you tend toward being aloof at times and disconnected from others on a deep emotional level, you’re coming to a point in 2018 where you’re ready to change some of that. Pisces, dear, this new year isn’t just a time to cleanse yourself of toxic connections, it’s also about strengthening and recognizing the kinds of relationships that add positivity to your life and support your overall well-being. The main issue for you is only your health as there are numerous chances of getting very ill throughout the year, especially before October. You’ll need to push your children for extra work. In short, you must focus on your health this year.